January 2012 is not a good time to be a BBC Sherlock series fan in US. I was totally misled by the PBS site into thinking that Season 2 of the BBC Sherlock series starring the brilliant Benedict Cumberbatch as Sherlock Holmes and the equally fantastic Martin Freeman as Dr. John Watson, was to be broadcasted on January 15, 22 & 29, 2012 at 10pm. I was positively giddy that each episode was only 1 week behind the BBC air date in the UK and that episode 1 ‘A Scandal in Belgravia’ should start things off with a bang. Short of shouting from the rooftops, I made sure to pound the US broadcast date into friends, family and anybody who cared to listen. deep embarrassment and frantic monkeying with the remote when the local PBS didn’t broadcast anything remotely similar to the BBC Sherlock series. Not even the encore presentation of Sherlock Season 1, A Study in Pink, was running. At that moment, I was ready to strangled the PBS scheduler/webmaster who put that information on that site if I could. I was totally bummed out. 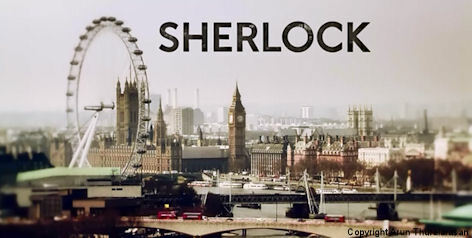 Some digging into the PBS site at this location revealed that Season 2 of Sherlock would start on Sunday, May 6, 2012 at 9PM ET. January 15, 22 & 29, 2012 at 10pm would be encore presentation of Season 1. Why in God’s name did PBS have to bury it somewhere in the nether regions of the website instead of putting it under ‘Schedule’? I’ll be damned if I had to wait till May. A year long wait between the two season was torture enough. Ahem, I can’t say much but have you tried Googling the search terms “Sherlock season 2 watch in USA“? For those who prefer to wait, here’s a list of BBC Sherlock Season 2 episodes with their US broadcast dates and times. The game is afoot! You can read my review of BBC Sherlock Season 1 here. Happy sleuthing!